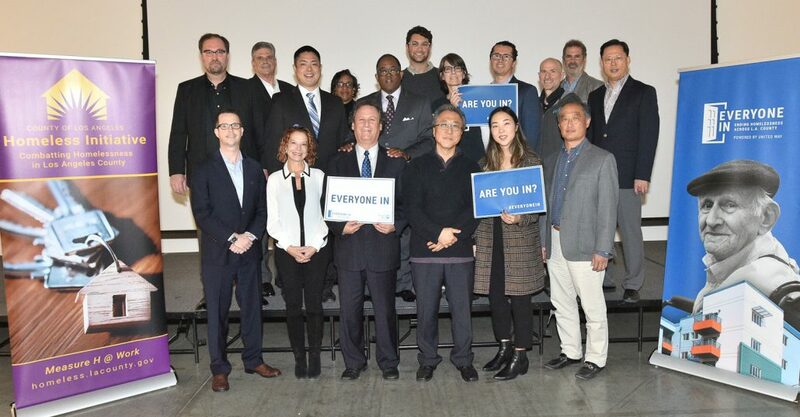 The Los Angeles County Homeless Initiative announced the winners of the first-ever Housing Innovation Challenge, a call for proposals that has awarded $4.5 million in Measure H funding for game-changing creative and scalable permanent housing solutions for those experiencing homelessness in Los Angeles County. 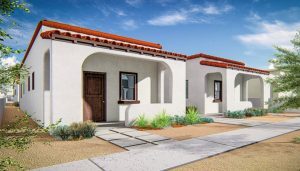 The Housing Innovation Challenge has made four awards at the $1 million level and one at the $500,000 level for faster, cost-effective construction/rehabilitation and/or creative finance models to produce permanent housing for the County’s most vulnerable residents. 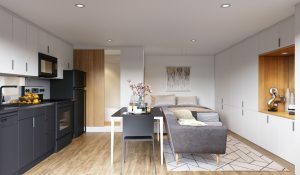 Housing Innovation Challenge Winner United Dwelling depicts garage conversion rendering. 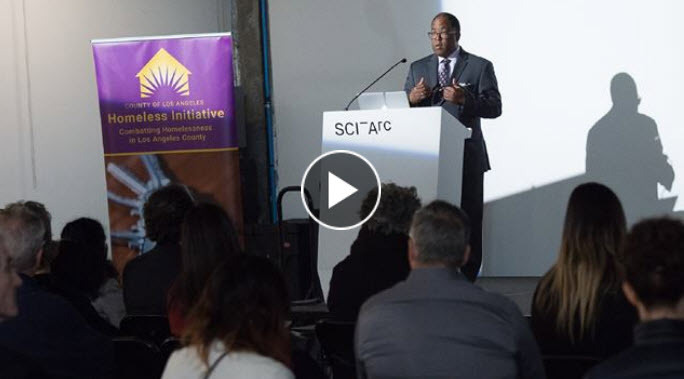 Housing Innovation Challenge Winner “Restore Neighborhoods Los Angeles” depicts accessible units with equity participation from neighbors in South LA. 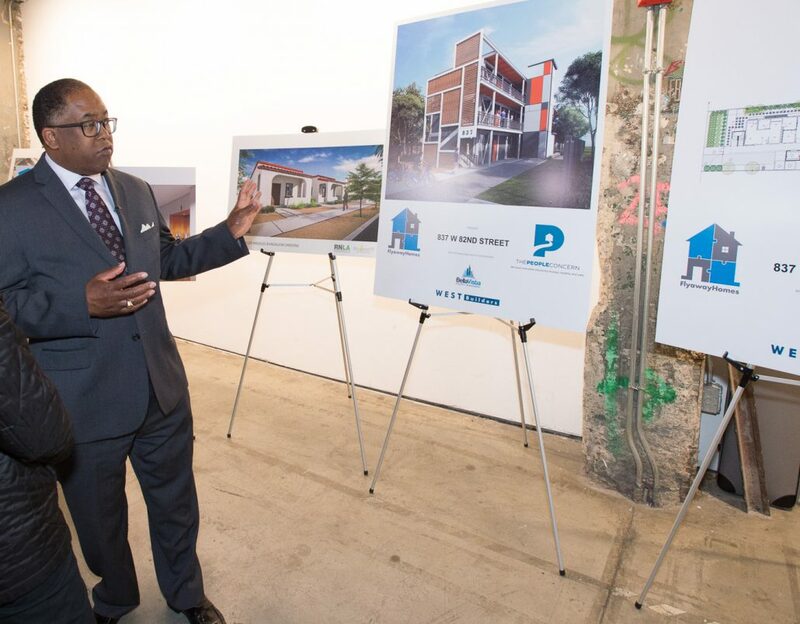 Supervisor Mark Ridley-Thomas shows off the three winning projects that will be built in the Second District of Los Angeles County. Three of the winners –Flyaway Homes, United Dwelling, and Restore Neighborhoods — plan to implement projects in the County’s Second District. Meanwhile, another winner, Brooks + Scarpa Architects, is headquartered in the Second District. To view the winning submissions and honorable mentions, visit housinginnovationchallenge.com.